Zurb Foundation is one among the popular User Interface framework. 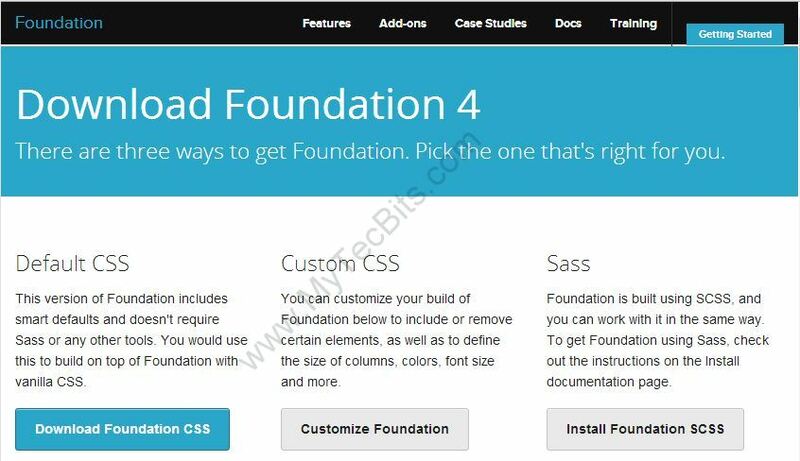 Zurb Foundation 4, the current version of foundation can be downloaded from https://foundation.zurb.com/sites/download.html/. There are 3 options to download the Foundation libraries. If you want to change the Zurb Foundation’s default theme for your need, then the easiest option is to customize it before downloading. To customize the Zurb Foundation library, go to “https://foundation.zurb.com/sites/download.html/” and scroll down. 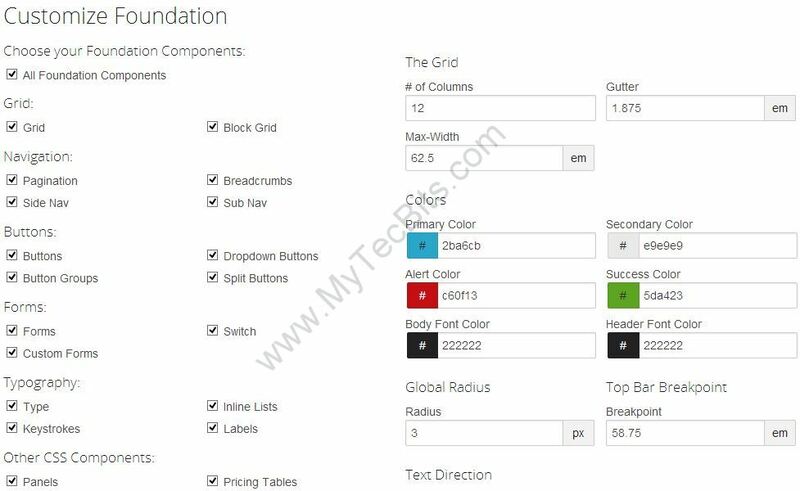 You will find options to select the components you want, change the colors, grid size, edge radius, etc…. After customizing, you can download the customized library by clicking the button Download Custom Build. This is only for the advanced users who are familiar with CSS extension language. If you want more control and customization over foundation library and if you are familiar with SASS and SCSS (CSS extension language) then you can use SCSS tools to customize Zurb Foundation. The details for using Sass version of Zurb Foundation is available here “https://foundation.zurb.com/sites/docs/v/5.5.3/sass.html“.